Demanding a refund. 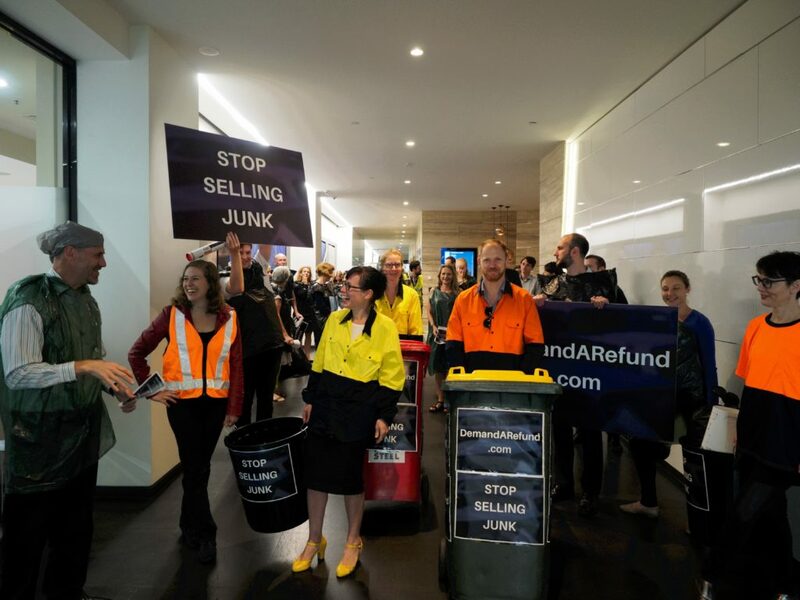 Every complaint received by insurers and warranty providers, and every dollar they have to refund helps convince them they shouldn’t sell junk. Share your story. Telling your story – email campaigns@consumeraction.org.au to let us know your story. This helps us better understand these products, warn other Australians and celebrate when people get their money back. We will publish some stories on our website, but only if you tell us we can. Sign up for campaign updates. We’ll keep you updated on the campaign and let you know other ways you can get involved. We won’t share your details with anyone. Tell your friends. Spread the word about add-on insurance and warranties. The more people who know about this problem, the more chance there is of people getting refunds and telling insurers and warranty providers to lift their game.